Q. What are the main lessons from the NSEL scam? A. NSEL was operating in a kind of regulatory vacuum. Definitely, the big finding, which was also the recommendation from a special team of secretaries, was no financial market should be left unregulated. This happened outside FMC's regulatory space. NSEL was primarily a warehousing fraud. The importance of a warehouse for the commodity market is critical. FMC has been strengthening its regulations over the years, improving risk management and investor protection and bringing more transparency to the market. But there is greater focus now on strengthening the warehousing system. We have mandated that our warehouses - the exchange accredited warehouses - should register with the Warehousing Development Committee, which is the regulator for warehouses. Now we are in the process of prescribing capital adequacy net worth and other norms for warehouse service providers who provide services to exchanges. Another thing we have done which could not have been done earlier was to set up a settlement guarantee fund (SGF) in every exchange. We had a constituted a risk management committee for the FMC and on its recommendation have put in place an SGF. After the NSEL developments we also had a forensic audit carried out into MCX and we found there were a large number of irregularities which has been brought out by the PwC report. Based on that we have completely revised the equity holding structure of the commodity exchanges so that no private entity plays a dominant role, no private entity can hold more than five per cent in a commodity exchange. Only six identified institutions can hold up to 15 per cent. These six types of institutions are those which are regulated by financial sector regulators. We have also brought about the changes in the corporate governance norms of the commodity exchanges. Thus both equity structure and corporate governance have been aligned with the securities market. Q. How do you respond to the Economic Offences Wing's statement in its second charge sheet that NSEL was an unregulated entity? A. I should not comment on what has been filed in the charge sheet. See, under the Forward Contracts Regulation Act (FCRA), if an entity or association wants to do forward trading in commodities it has to seek recognition from the government of India, it has to seek permission from the FMC. And then it comes under the regulation of the FMC and the government. So we have our six national multi-commodity exchanges and 11 commodity specific exchanges in various parts of the country that are recognised and registered under the FCRA. These are regulated and if somebody (NSEL) is doing something like this (issuing forward contracts), it is not regulated. Q. Why did you carry out a forensic audit of MCX? You ordered one of the Universal Commodity Exchange (UCX) too. A. When we got the forensic audit report of NSEL and found there had been major irregularities, we thought MCX has the same promoter so we did the forensic audit as a precaution. There was no specific complaint regarding MCX at that time, but today the PwC report is in the public domain. The PWC found number of things. So far we have asked the regulatory exchange to take action. We found irregularities in the normal audit and hence asked for a forensic audit to be done. The same was the case with UCX. Q. With UCX and Indian Commodity Exchange (ICEX) closing down, the second lot of approved commodities' exchanges have moved out of business. Are policy restrictions hampering them? A. I do not know much about why the new exchanges came into being. It was a long time back. People must have come with the expectation they would do well. But the way things turned out they have not done very well. They could not muster enough business. I think the regulator should always be careful while giving licences. I would not like to speculate as what they did or didn't do. The result is there for everyone to see. Two exchanges are doing well. If policy restrictions were the problem, no exchange would have done well. But what happens in practice is if one exchange attracts liquidity in one commodity then others have found it difficult to divert those volumes to their exchanges. There is an early mover advantage and two exchanges have managed to do well. Ultimately it is a market infrastructure institution. If you want to stay, you have to be here for the long haul. To develop business you have to do real hard work, especially among the value chain participants of the commodity. And if you want just volumes without bothering about the quality of the volumes, then it's not sustainable. We have adopted a zero tolerance policy for non-genuine trades of any nature - be they circular traders or watch trades. In March we found there were lot of volumes coming to two exchanges. We conducted an enquiry and found that many of those were bogus trades and we wrote to the exchanges asking them to explain and asking them to take these matters to their board of directors. Thereafter we saw those trades stopping. Exchanges also took action against many members who were indulged in those trades. So I think (one of the reasons for low volumes on the exchanges) is that bogus trades have disappeared because of the zero tolerance policy of the FMC. It's not the mandate of the commission to develop exchanges in the country. If an exchange comes to us for recognition and registration and if it is eligible, we allow it to operate. Ultimately it is the market which decides, it is the entrepreneur who decides. If exchanges aren't able to generate liquidity and traction in commodities, the commission can't do much about it. If exchanges think policy is hampering growth, they should point it out to us. So far they have not pointed out anything. Q. Kotak bought Ahmedabad Commodity Exchange (ACE) for Rs 100 crore and now 15 per cent stake in MCX. Don't you think it will now have skin in the game and won't be just an investor? A. 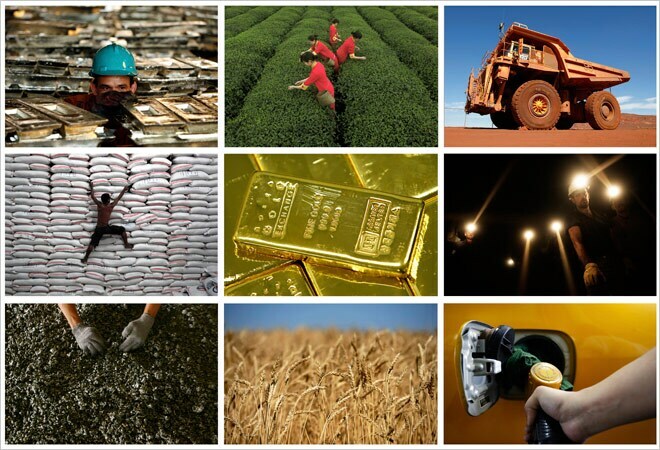 Our commodity exchanges are de-mutualised. Shareholders play the role assigned to them by the Companies Act and by the commission (FMC). Will Kotak be comfortable being investors? These things are guided by the provisions by the law. The policy is transparent and is known to everybody. People come in aware of the policy and the provisions. Q. Are you comfortable with Kotak having major stakes in commodity exchanges as well as being a commodity broker? A. If you see the norm anyone who is trading cannot be on the board of the exchange. So the policy is laid down. We have a similar policy for trading and shareholding pattern - as to who can be on the board and who can be the trader. Policy has been transparently laid down and it applies to everybody. Whatever is there will be implemented and enforced. Q. How do we bring more participants into the market? A. One of the things we had asked exchanges to initiate was a forward trading segment. One exchange has made a start. NCDEX will start from this month in two commodities - sugar and maize. We have asked other exchanges to start similar forward trade segments. If this picks up it will make huge difference, bringing more price discovery efficiency and better risk management for physical players. A forward trading segment allows forward contract between two parties where trade is taking place through the exchange and counter party guarantee is given by the exchange and both parties gets a better price. No cash settled - this will be customised trade which will be purely delivery based between buyer and seller. We currently don't have products and many players aren't allowed in the market. Once the products and participants are allowed you will see depth in the market. Q. When do you see MCX launching new contracts? A. There is an agreement between Kotak and Financial Technologies but nothing has happened as yet. Once the stake sale happens and FTIL (stake) comes down to zero we will allow MCX to come out with new 2015 contracts. Q. When do you expect the new amendment to the act? A. We have sent a revised FCRA amendment bill to the department and it will take a decision. It will be broadly what was there before the previous Lok Sabha. Not too many changes, it's to bring FMC on par with SEBI, this was also the theme earlier.